When the characters of the film, ‘the Office’ took their work printer to a field and pummeled it to smithereens, the humble inkjet became a movie star in its own right. Whilst most people associate it with lackluster spread sheets, official letters and airplane tickets, the printer is a device that is vastly underestimated. With a dash of courage, a ream of textured paper and a splash of ink, level-headed thinkers can inject a little fantasy into their cerebral lives. Scrapping has earned its high rung on the popularity ladder for good reason. It lets you delve into your life’s most nostalgic moments while giving your creative muscles a workout. Ultimately, you and your family are left with a photograph album in which every mood is enhanced by keepsakes, palettes and pictures. Traditional scrappers hunt for paper, fonts and envelopes at crafting stores but your inkjet lets you become more immersed in the process. Standard home printers can handle a host of paper textures. Tissue paper, pulp and reflective surfaces give you inventive foundations which, when placed side by side, achieve depth and interest. The basic graphics software available on most computers gives beginners a push in the right direction but older versions of professional software can be freely downloaded if your imagination is wilder than basic programs allow. Don’t let the tools baffle you: all you need to make a beginning are the paintbrush and filter tools. For true technophobes, simply logging into official printer sites will unveil an array of printable patterns and pics to add pizzazz to your scrapbook. Whether you’re raising a reluctant pre-teen reader or a rhyme-happy toddler, your HP inkjet cartridges can become your partner in the quest to develop a passion for literature in your little ones. Sharing books with children, even before they are born, develops their reading skills and vocabulary. On a less obvious note, shared reading time strengthens bonds and improves children’s cognitive skills. Thus making them happier and giving them healthier relationships well into adulthood. If your littlest family members would rather tidy their bedrooms than settle down to a great tale, personalization has an almost magical effect, reeling in the most unwilling listeners. Creating your own photobook is simpler than you think. If imagination is not your strong suit, your child will be a competent muse, adding enough nattiness and humor to fire up your own storytelling skills. After writing your tale, hunt through the many animated stock photos online. The finishing touch is, of course, using a basic graphics program to cut and paste your child’s photograph onto existing animations. A store bought ring binder is all that’s needed to turn your inked fairytale into a bonafide book. Gift giving is an art that needs to fall outside the realm of economic exchange. The Beatles simplified the concept when they sang, “Money can’t buy me love.” A gift that is entirely built out of thoughtfulness, effort and meaning is likely to live on in the memory for years. 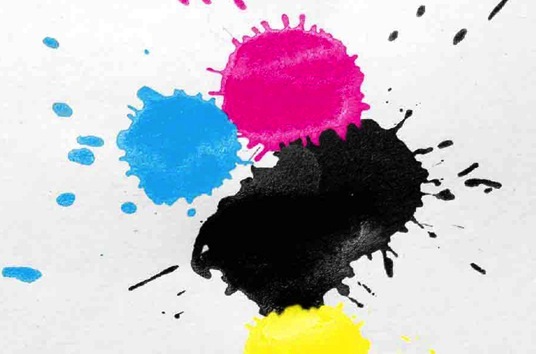 With creativity and contemplation, you can turn your ink cartridge into a medium to create a gift of true value, limited only by the size of your imagination. A voucher booklet crammed with luxurious favors can be buzzed through your printer within minutes and can offer anything from an hour’s massage to a week of dish washing duty. If the birthday girl or guy has a philosophical side, a month’s worth of inspirational quotes can be tied with ribbons and packed into a jar. Photograph collages can be used on printable puzzle paper or in traditional frames. Home-grown recipe cards given to graduates about to leave the nest offer a taste of nostalgia for lonely nights. Albert Einstein defined creativity as ‘intelligence having fun.’ The world’s favorite physicist is renowned for his left-brained genius, yet his talent for imagination turbo-charged his theories, proving that even the most practical thinker can own a rampant set of creative genes. The benefits of thinking outside the box are far reaching: trials show that exercising your right brain is emotionally and physically healing. Avid craft dabblers and scrapaholics may find it easy to potter around with patterns, textures and shapes but beginners often find themselves staring down a black page if it will leap up and bite them. Overcoming fear is the first step to unleashing your inner Picasso.